So easy and delicious! You can use ground beef or ground turkey with taco seasoning. I make a homemade taco seasoning. Both the Gimme Some Oven and Rachel Cooks recipes I have used in past recipes are great. This would also be a great vegetarian recipe if you substituted the meat with a crumbled black bean burger. Make ahead of time, reheat, and top with desired toppings for easy lunches or dinners. Use a fork to poke holes on all sides of sweet potato. 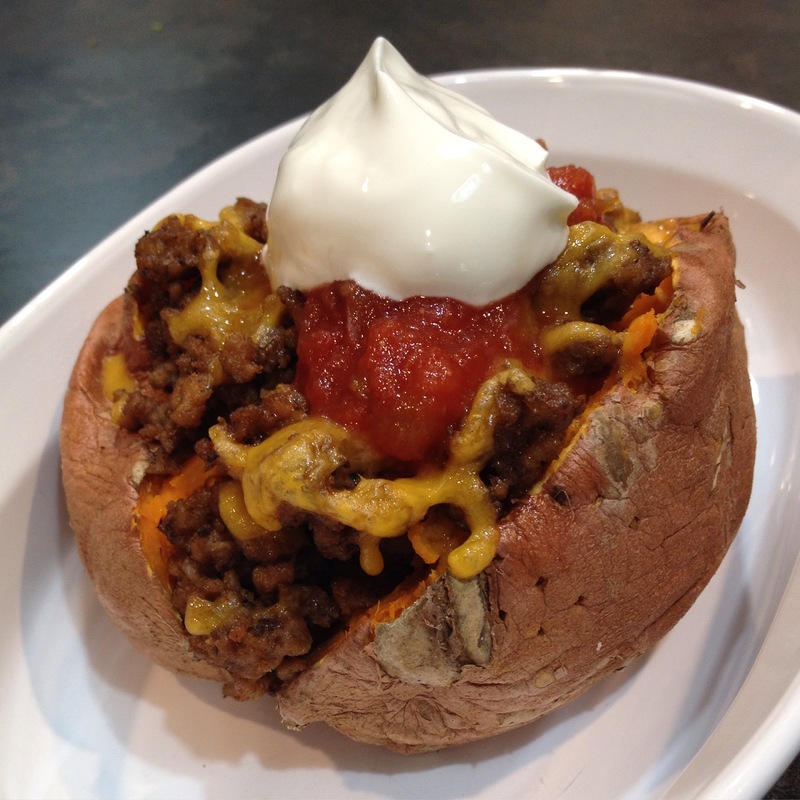 Microwave sweet potato for five minutes or use potato button on microwave. Cut open sweet potato and carefully stir up contents. Line a baking sheet with foil and place sweet potato on foil. 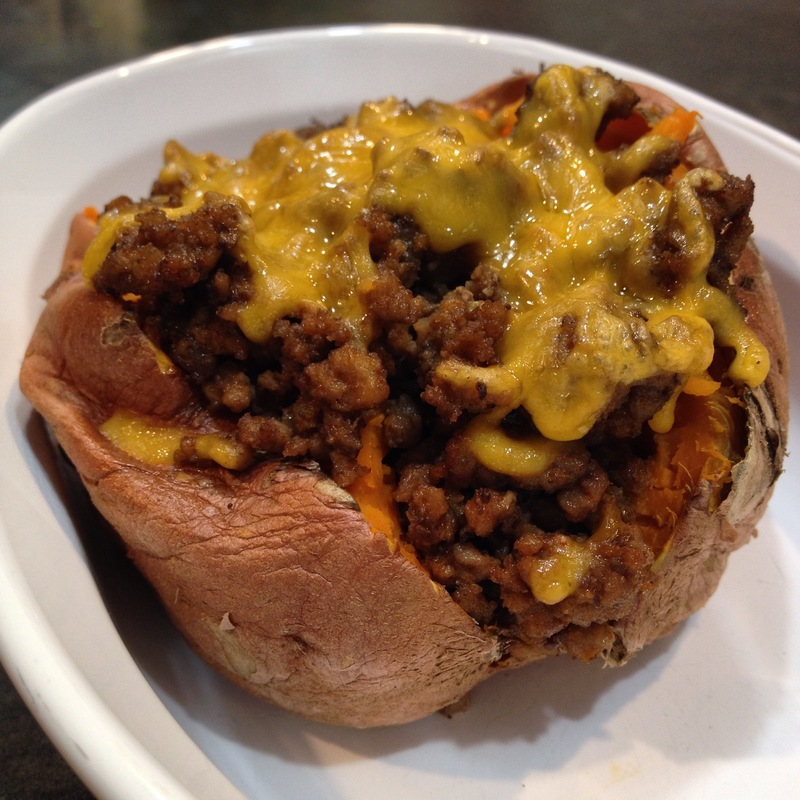 Place ground meat and shredded cheese in sweet potato. Bake in oven for 5 minutes or until cheese is melted. Top with salsa and sour cream. Enjoy! You’re right, this does look easy and delicious. Sounds awesome! I will check that out! It was really good and so easy! I look forward to checking out your blog!